Use as a swing or as boxing bag to expend tons of energy. 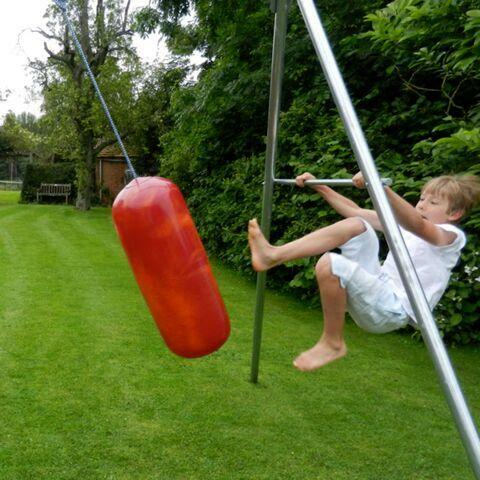 Hang in the middle of the swing frame for the most fun. Inflatable very heavy duty bag. Color varies. 9 lbs.